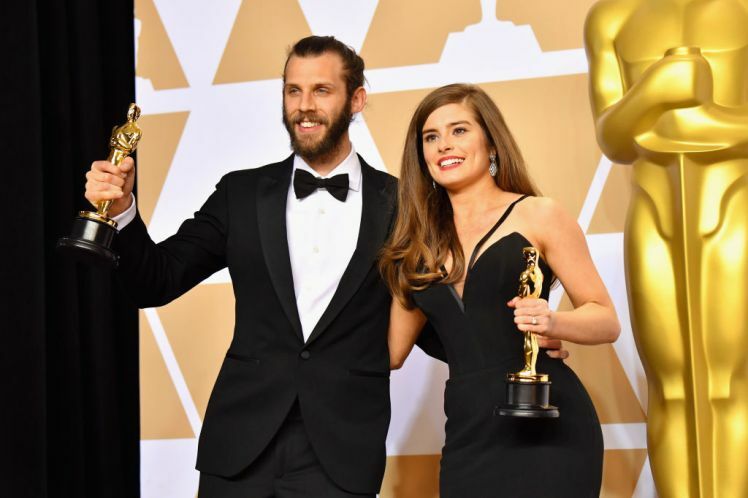 Congratulations to our clients Chris Overton and Rachel Shenton for winning a 2018 Academy Award! 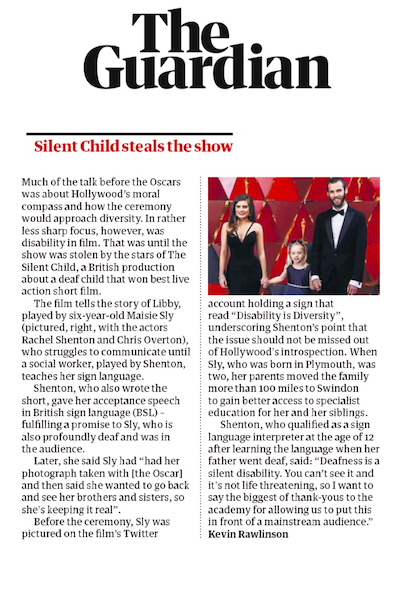 Congratulations to Chris Overton, Rachel Shenton and the Silent Child Film team for winning a 2018 Academy Award for live action short film. The Silent Child – Official Trailer from Slick Showreels on Vimeo. 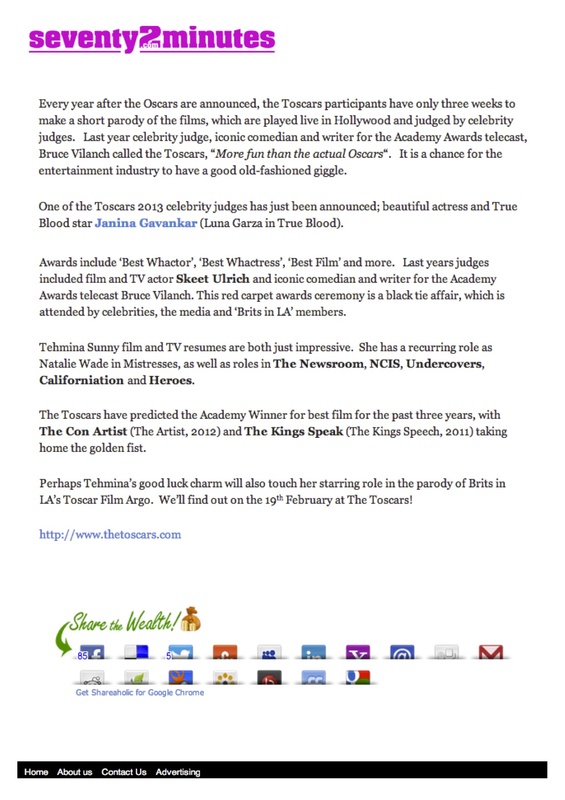 Some of the recent press can be seen below. 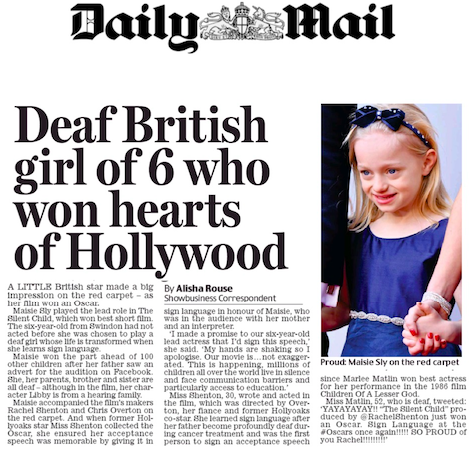 Twilight Star Judi Shekoni, was featured on The Daily Mail Online as she attends the OK! Magazine USA pre-Oscars party. 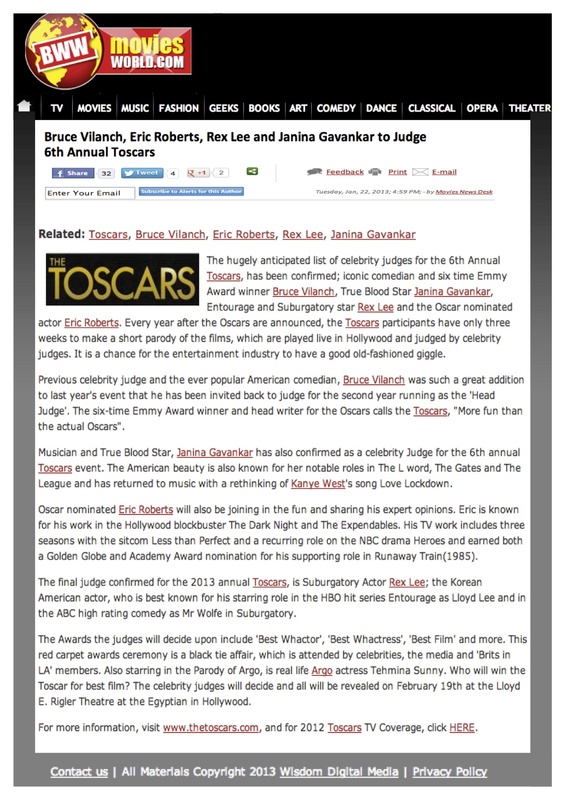 Seventy 2 Minutes article on Argo actress Tehmina Sunny to Star in the Toscars parody of Argo! 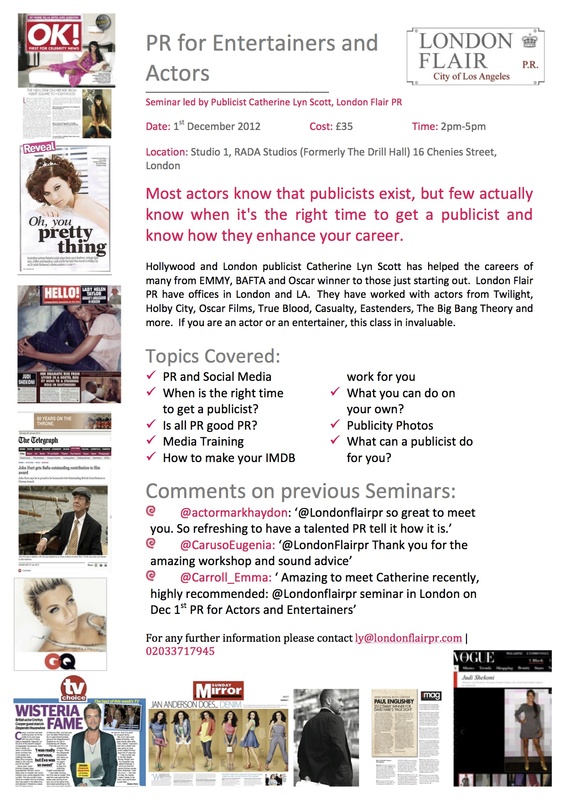 Are you an actor, presenter or work in entertainment? Are you thinking now might be the time to get a publicist or are you not sure what a publicist actually does? This three hour seminar will not only answer all your questions, but help give you tips of what you can be doing on your own to promote your career and how to use social media to your advantage. 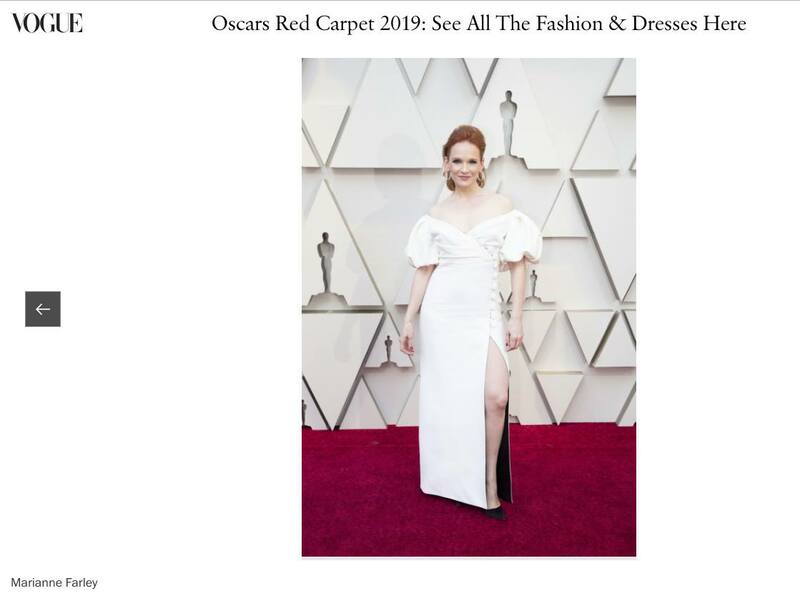 Hollywood and London publicist Catherine Lyn Scott has helped the careers of many from EMMY, BAFTA and Oscar winner to those just starting out. 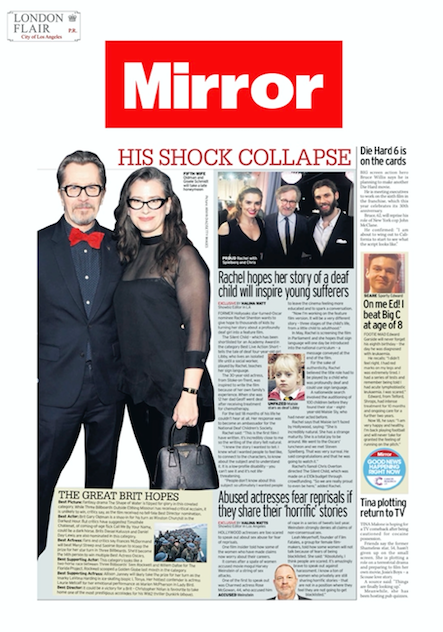 London Flair PR have offices in London and LA. 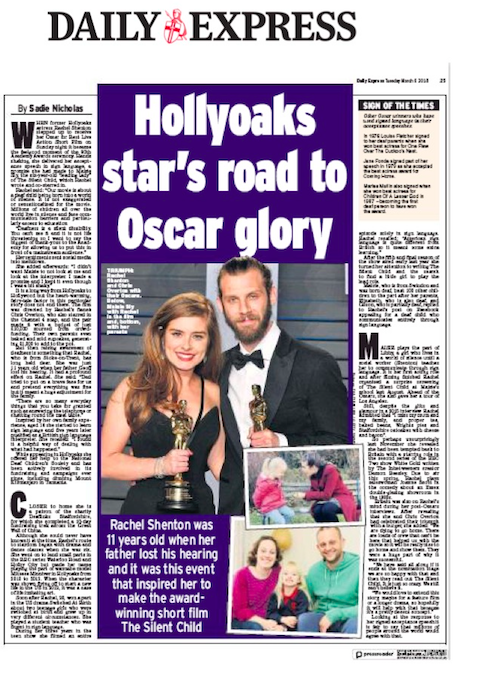 They have worked with actors from Twilight, Holby City, Oscar Films, True Blood, Casualty, Eastenders, The Big Bang Theory and more. 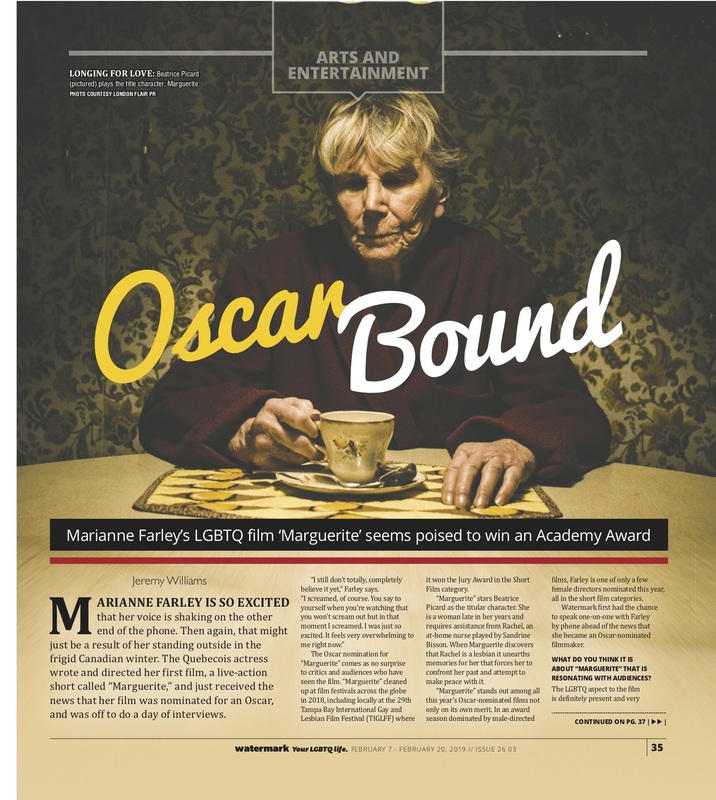 If you are an actor or an entertainer, this class in invaluable. 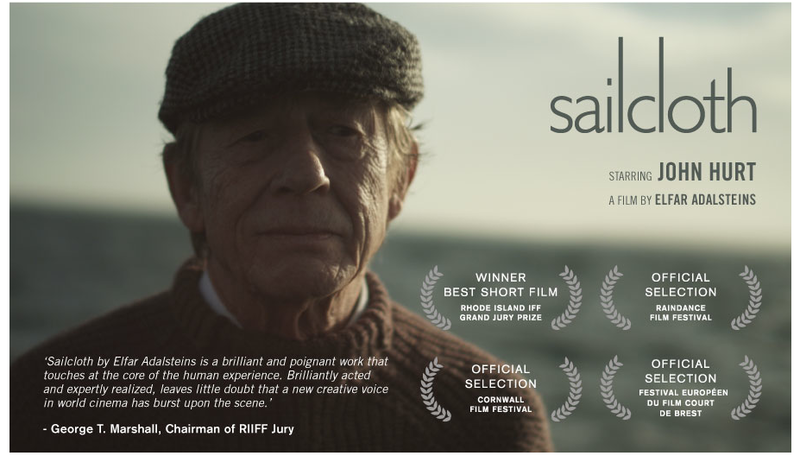 Sailcloth shares the poignant story of an elderly widower (Hurt) as he sets in motion a series of events to hide his disappearance from a nursing home. After gathering necessities he heads to the local pier where a beloved companion awaits him – ready for their last great journey.